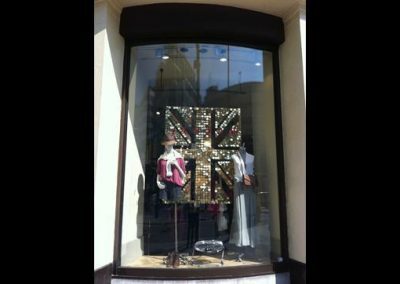 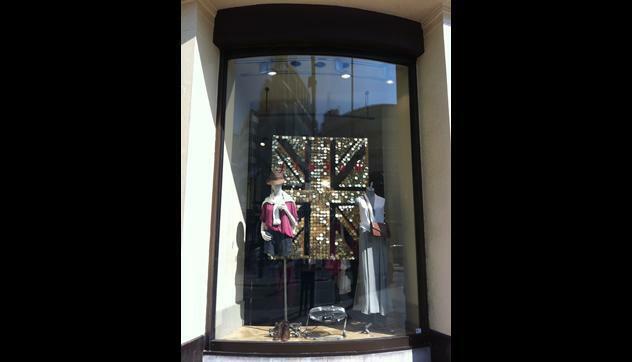 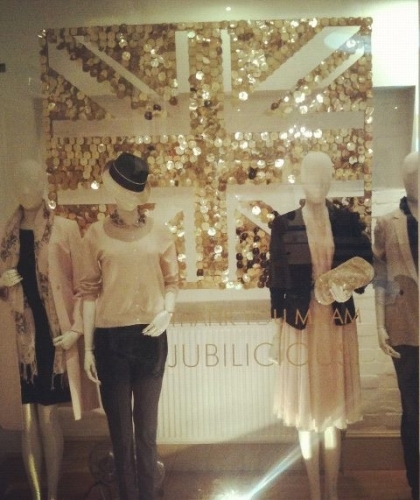 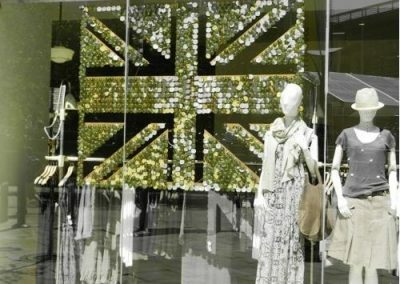 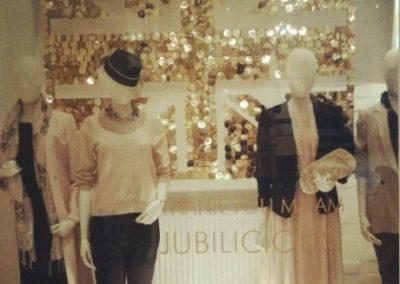 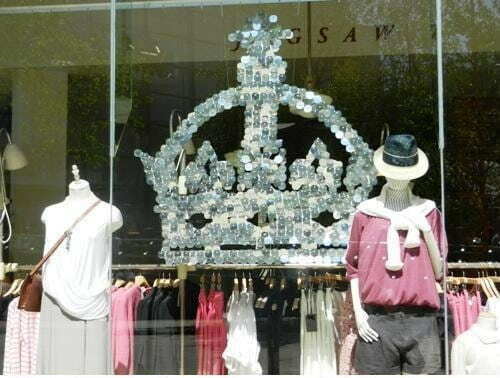 Jigsaw paid tribute to the Queen’s Diamond Jubilee by creating these great Union Jacks and Crowns using our silver and gold Spangleystrips. 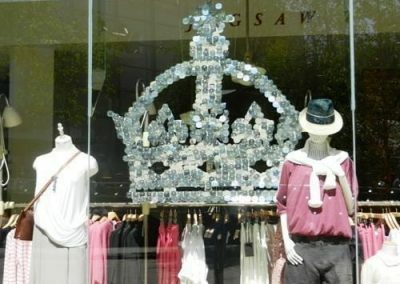 These were used in many of their shop windows across the country. 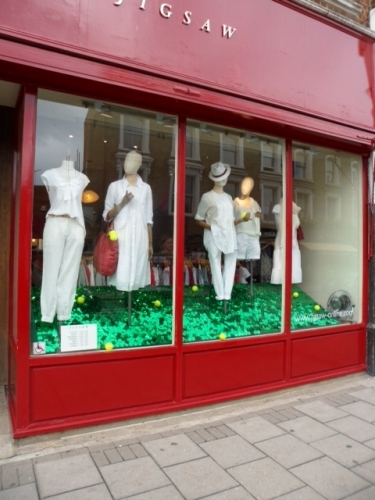 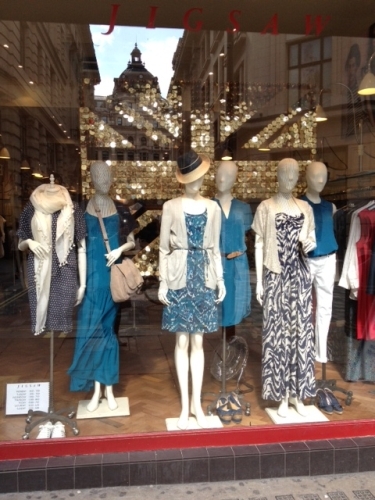 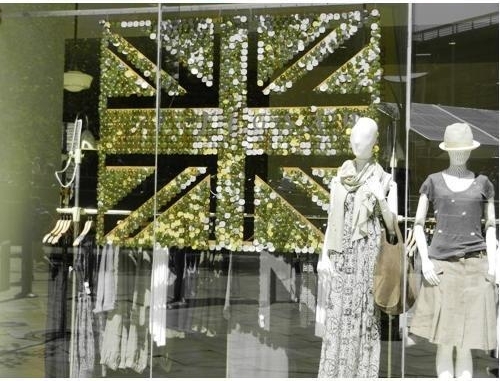 Jigsaw used Green Spangley-strips to create this cute, quirky display for their Wimbledon store.